Based on the novel by Jules Verne, which also had its 150th anniversary in 2014, the album is one of the rock era’s landmark achievements selling 15 million copies. The 14-date tour comprised performances across the UK, including two dates at the Royal Albert Hall. 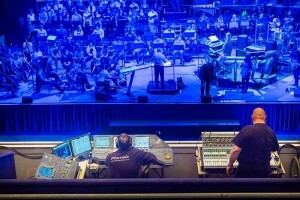 Each show was a live presentation of the album, performed by Rick Wakeman and The New World Symphony Orchestra, accompanied by The English Chamber Choir and the English Rock Ensemble. 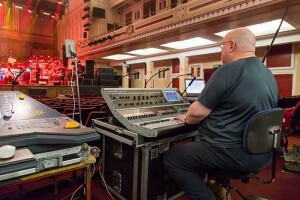 Long time FOH engineer, Ian Barfoot, specified an iLive modular system comprising twin iDR10 MixRacks and his preferred iLive-112 surface linked by a fibre optical link, along with a Lenovo tablet running iLive Editor control software. 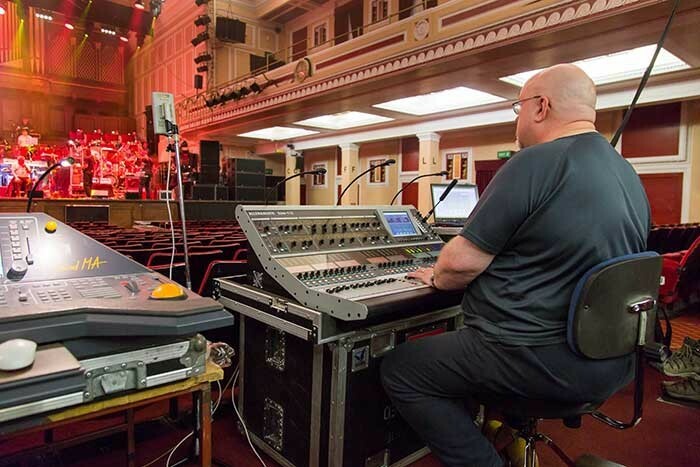 "We needed a pretty high channel count to manage so many performers and deliver the complex orchestra and rock group crossover. I’ve been using iLive since it was introduced, and love the system’s modular and configurable architecture, which enables me to have whatever I need at my fingertips. The sonic performance is exceptional and the onboard effects are absolutely stunning," comments Barfoot. In picture: iLive with engineer, Ian Barfoot, during sound check at the Royal Albert Hall.